The other morning I was greeted to a “Sold” on Etsy. I couldn’t have been more pleased. First, sales have slowed down slightly. I like to try to average one sale a day. Since Christmas, sales have slowed from that. Second, this was one of my more pricier items. 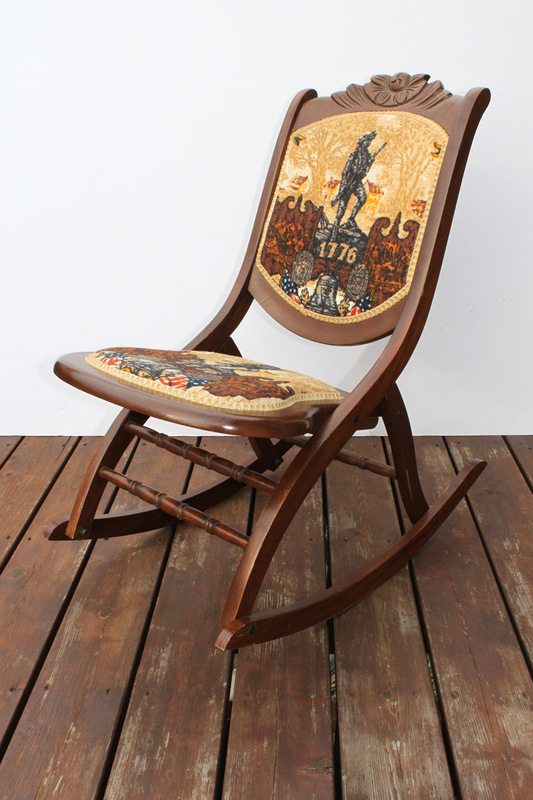 Last summer I found this awesome Bicentennial Wood Rocking Chair at a garage sale. It was in great condition, and I just loved the cushions. I was 8 years old when 1976 rolled around. I remember the big deal that it was. The USA was 200 years old. Wow. Yes, I know that is young for some of my overseas readers, but to us, it was a big deal. I still remember watching TV that night with all of the pageantry and fireworks. I listed the chair last September and waited. I knew that the right person had to find it. But just after 4 months, the chair sold. The best part it that is going to MN, so the shipping price really decreased. This was a large package. It only weighed 18 pounds, but the over-sized box would have cost $30 to ship it Parcel Select to most places. I was glad to be able to send the buyer a refund. I really try not to purchase and then sell this large of an item, but sometimes the item just calls to me. This was one of them. The hardest part about shipping something this large is finding a box big enough. All worked out and I have more space in my storage area. By evening I had 3 more sales. 4 in one day…that isn’t a record, but definitely a great sales day. 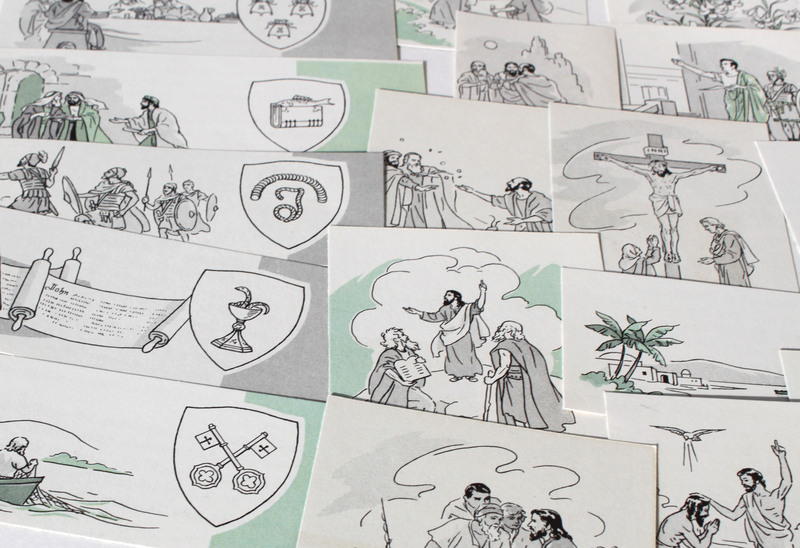 I sold these Illustrations of Jesus. I had listed them in July 2012, 1.5 years ago. I would have pulled them after Easter, but sometimes it pays to wait. 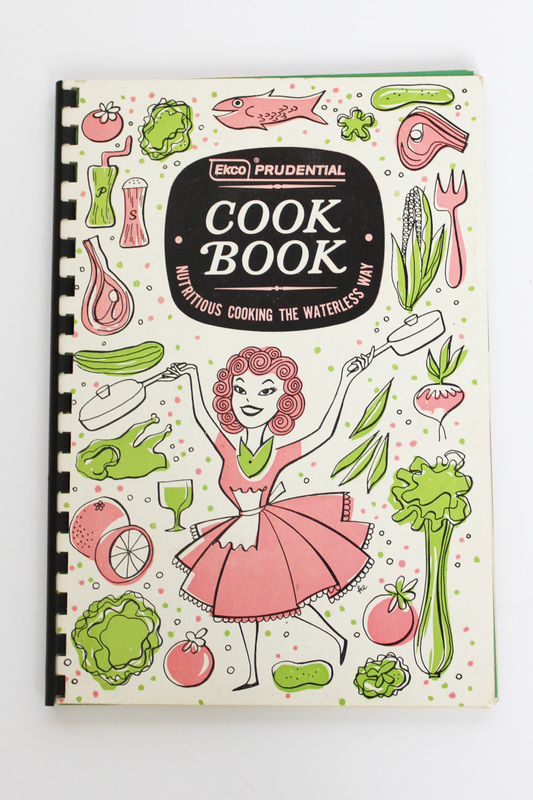 I sold this Ekco Cookbook. The illustrations were wonderful. This one I listed January 2013 a year ago. Glad to have that one sold. 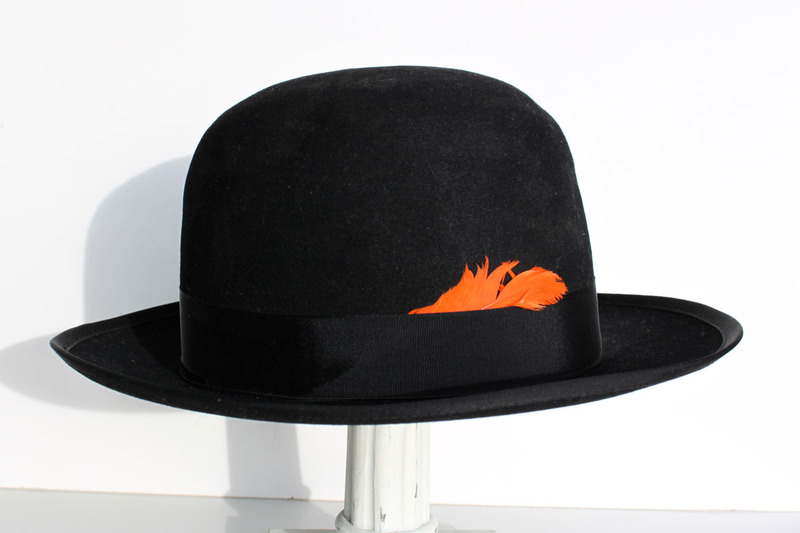 Finally a sold this Men’s Bowler Hat with orange feather. I just listed it around noon, and it sold within 4 hours. So you see, one never knows how long something will take to sell. Sometimes I am simply surprised how quickly something sells, and the next time I surprised because something I expected to sell quickly, is still sitting. Online selling takes a lot of work, but it also takes patience. After that great sales day I am now at about 20 sales out of 24 days. Not too bad, close to my one sale-a-day average. I know part of the reason is that I have been making time to list some items. It really seems that if I don’t list, I sell less. It must make my shop active, so listing are more easily found. Really not sure why, but I know I have a few days left this month; a sale a day sound doable. Do you have sales goals?